I have always had sensitive (pale/red) skin prone to irratation. My hormones have always been up and down so I go weeks without pimples but when they are there, they are there. Huge, red under the skin pimples. This gel has helped reduce overall redness on my face especially when my acne is noticeable. I like to put it on at night after I wash my face and by the morning the redness and soreness has dramatically reduced. I’m so glad I have found this product. It’s given some of my confidence back. I met the beautiful Kara through Instagram, a lovely mama with a passion for heathy living and natural products. 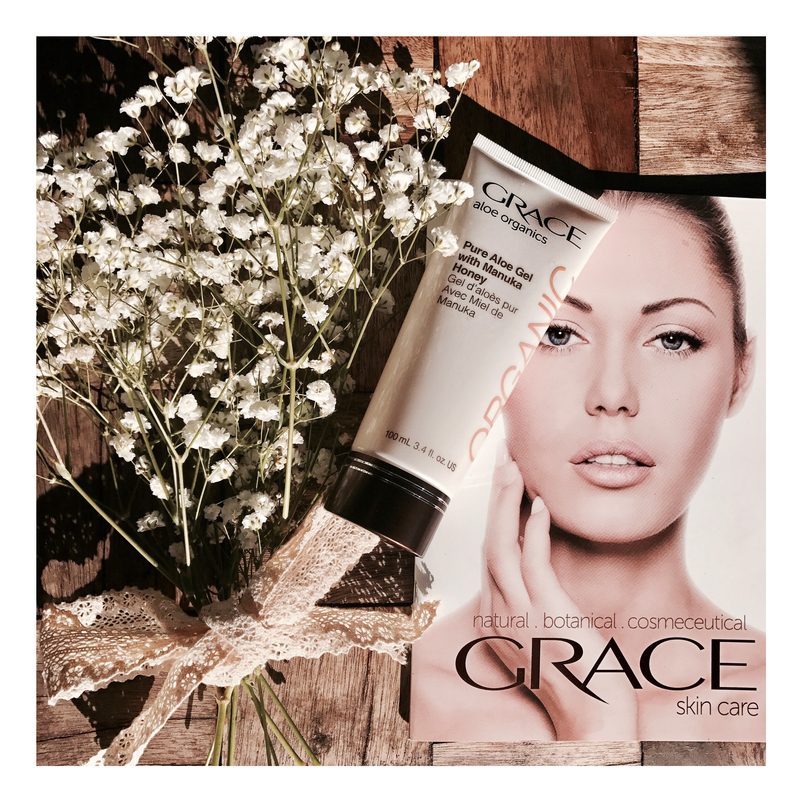 Visit http://www.gracecosmetics.com.au/karawilliams For all your skin care needs. Eases the discomfort of sensitive skin and minor irritations. Reduces the redness of sunburn, windburn, rashes, bites and skin abrasions. Contains antiseptic properties which clarify, refresh, calm, detoxify and soothe. Excellent directly after waxing or shaving. Ingredients include: Organically grown aloe vera, manuka honey, honeysuckle, lemon balm and passionflower. For all skin types.